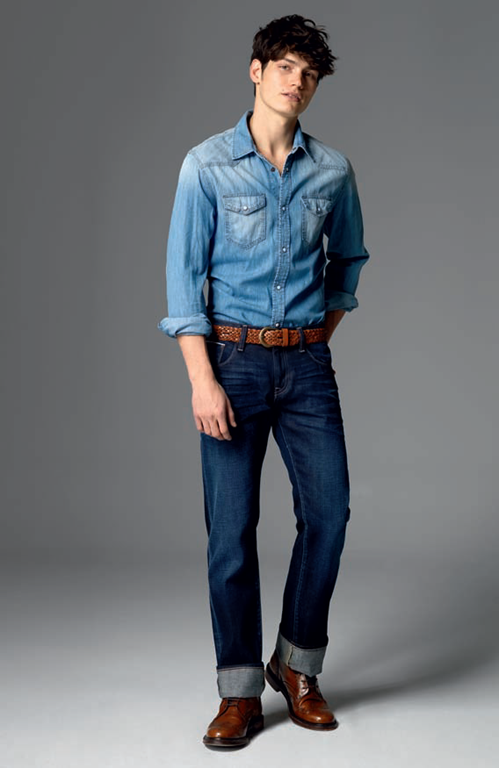 Mavi is one of the fastest growing brands in denim . Originating from Turkey, the brand has made its mark in the competitive markets of US and EUROPE . The company is growing at a fast rate – about 40% last year in Europe – a blistering pace compared to the economic scenario. The company sold close to 3 million pairs of jeans in 2011 – a figure almost 3 times that in 2009. The new collections of Mavi invite interested views from the industry as it seeks to bring out new concepts and directions. Lets have a look at their Fall / Winter 2012 denim – men’s and women’s. Both collections make liberal use of T400 yarn fabrics and of course regular elastanes. 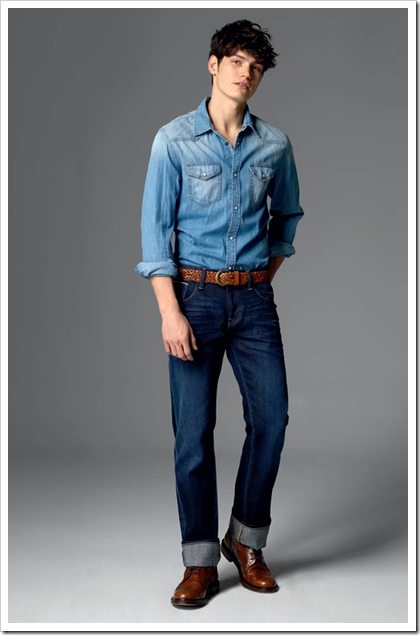 Coated denims seem to be a preference in both the collections as well as suedes . New coated denims in metallic and sueded looks have been introduced .Supersoft feel has been emphasized with more sateen fabrics besides black gold tencel . 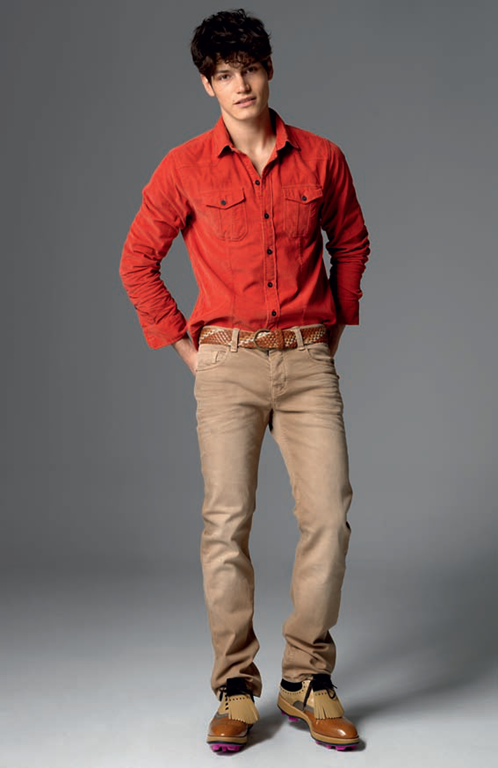 Color denims further evolve into suedes with deep but soft colors like rust . 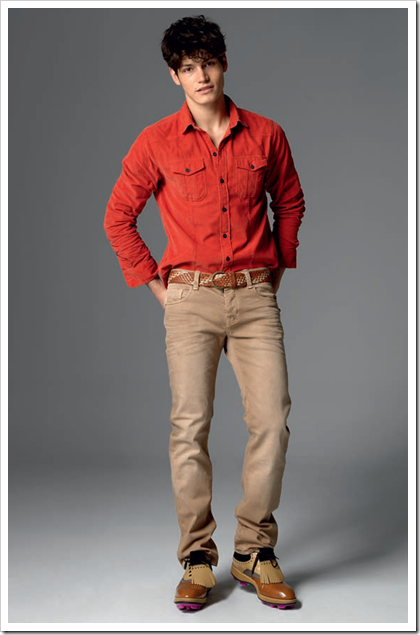 Men’s denim also see new variations in Indigo cords, suedes , coated denims and of course, the rust colors . From Denim To Strawberries ! !